Find out which category you belong to? Sign up to get the audio-visual research report. We Indians still love the traditional way! When life gives you lemon, make lemonade! The never rusted steel all set for the Midas touch. Absorption of light energy by Rod cells in the eyes results in the structural changes of a Rod cell resident protein (Chromophore) which leads to a series of signal transduction mechanism which ultimately leads to vision - feels not very familiar right! But it’s because of this process you can see and at present your eyes are glued to the screen. But even if you don’t know this you’re pretty good at it, right! It might help doctors to treat you but not much of a use to you. Therefore, WE have decided to take the pain of going through industry research reports, annual reports, investors presentations and management interviews while you give a treat to your eyes watching the exciting India’s first audio-visual research reports which serve an all-encompassing wealthy diet in your plate but only with specified quantity you can digest. Even if you’re not that uncomfortable like a teenage girl who would buy anything but the same dress like her friend (girl, obviously!) we know there is a little bit of uniqueness lies within every human being. We understand and respect that. That’s why we, at ShareBuzzz aspire to meet your financial goals after assessing the amount of risk you’re comfortable with. Yes, a model portfolio would be the easiest thing for us but success (for you and us) comes from excellence which can be anything but easy. Had our cricket team only have Virat Kohli who would spin the ball like Ashwin? Similarly, we never know what kind of pitch would be offered by Market. She is the biggest thug who always defies the common rules by going against the adage of the “experts (who claim to accurately predict market)”. Therefore, we need all kind of players in our team- aggressive Growth based bet( Kohli type), dependable sustainable long term Value bet( Captain cool, Dhoni type) and high-dividend payingIncome bets with modest growth but having huge margin of safety(Mr. Dependable, Dravid type). Ultimate motto is to win the game, not trying to smash six or get a wicket at every ball. We have taken this Nobel laureate’s words a bit seriously. Fundamental analysis and technical analysis are considered to be from different planets. But how do you rate the idea of extracting the best of both the worlds? It’s like having Sachin Tendulkar and Wasim Akram playing together. Sounds interesting! For us too. That’s why we evaluate the business fundamentals of a company and find its intrinsic value; on the technical part we decide its best buying zone. Having said so we confess that it’s technical which follows the fundamental’s, not the other way round. We realize how hard and inconvenient it’s to gather all the information related to the stock and constantly stay updated about the recent happenings in the industry, govt. policies swaying the future prospects, institutional buying or selling, management interviews and what not! So we’ve decided to thoroughly cover the entire gamut of touch points as far as the stock is concerned so that your complex life would be a bit simpler. 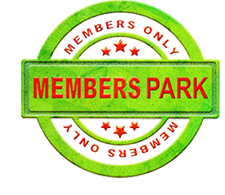 We encourage our clients to raise their queries and provide their input related to the stock in the “Members’ Park” which would help the entire ShareBuzzz community and compel us to raise our limits. One stock. All updates. One place. We call ourselves “Story-catchers” – remember sony Walkman? What an interesting story in 80s but in new millennium (2001) with the advent of iPod anybody hardly use walkman! A disruptive story if caught earlier would make an enormous fortune. But, there’s a catch in the story. The entire script is not present; you need to visualize! You need to understand the numbers would follow as the story unfolds itself. If the numbers fall into place then the story is already scripted; we’ve lost the advantage. We are not interested in scripted, well-formatted script!! We are “story-catchers” and later on “story-tellers”. Let us catch the story together. We are so concerned with fighting the fellow co-passenger to get a seat in our office journey and feel heavenly once we manage to get one that we almost forget to aspire to have our own vehicle and above that have our own office. We get too occupied with ephemeral joy we miss the long-term happiness. We are neither excited by the everyday rise or fall of our recommended stock nor an individual stock’s 10x journey from the recommended level. But we’re committed ourselves to have a healthy portfolio return of our clients’ portfolio. We are not playing the game of bragging individual stock’s success but working relentlessly without making noise to what matters the most- winning the war- creating long-term wealth. An actor, 3 years, 2 films, box office collection- 8 billion ₹ each, yes you guessed it right! Mr. Aamir Khan. Now, why doesn’t he come out with a film in every month? Of course, it’s the quality more than the quantity of films which is his priority. It’s true in every aspect especially in selection of businesses. History witnesses that wealth is built by owning a huge chunk of a few quality businesses which has been witnessing a massive growth rather than having only a few shares of a large number of average businesses. And you know history repeats itself. A concentrated portfolio is what we personally maintain for our clients as well as for ourselves. To utilize the opportunities market throw at us at different times either in form of sectoral trends or situation based mispricing-e.g.- Demonetization; we act (on behalf of our Privileged members) as shrewd opportunist to get advantage from these panic driven volatility so that our core portfolio gets strengthened. Our brains are bombarded with thousands and thousands of information at any given time, our news feed (read Infotainment) is mostly filled with less relevant information and more irrelevant entertainment which is an extraordinary time killing element as the providers’ main motto is engagement.